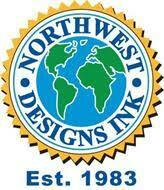 IDTANA Scholarships are supported not only by IDTANA, but also are made possible by a generous donation from Northwest Designs Ink. Thank you to Northwest Designs for their continued support! for students enrolled in a four-year undergraduate college program and who will still be enrolled during the 2019-20 school year. provide required transcripts, other academic information, and all required documentation/paperwork by the stated deadline. Once you submit the Google Doc form, you will receive a detailed email response within 2-3 weeks with complete directions regarding how to submit the required application materials and supporting documents. Please note that this response is NOT AUTOMATED. Once you receive this email response, please read the rules and requirements, and submit all supporting materials by the next announced deadline. Provide all required information with your initial application form as well as with your supporting materials form.